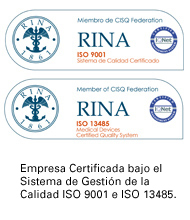 Surgical instruments Argentine manufacturer since 1945. FAICO has manufactured and distributed medical devices since 1945, two craftsmen´s generations, with a remarkable vocation of support to Medicine, have been offering the maximum advances in surgical instruments to the area´s professionals. Now, you can ask for quotes through our website in a more agile and intuitive way.